This film documents the extraordinary life of Kathleen Lynn, the daughter of a Protestant Cannon in the West of Ireland. Growing up in the aftermath of the great famine she was deeply affected by the abject poverty and disease that continued to ravage the lives of the local people. She was only sixteen years old when she made the decision to be a doctor. 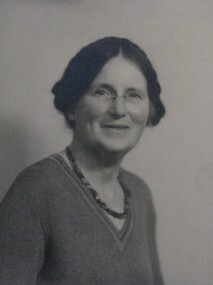 Kathleen Lynn who was Chief Medical Officer of the Irish Citizen Army, suffragette, doctor and founder of St Ultan’s hospital in Dublin’s Charlemont St.
Dr Lynn, who was one of the great humanitarians in 20th Century Irish History, made her mark through many strands of Irish society be it through her work at the hospital, her fight against poverty and disease, her career as a politician, her involvement with Republican prisoners as well as her role in save the German Children fund. Through the Suffrage movement she became part of a circle of revolutionary Republicans, forming deep bonds with the Socialist leader James Connolly and the wildly flamboyant Countess Markievicz. Their dream was to free Ireland of British rule and with it all forms of oppression, be it based on gender, social or religious bios. It was a notion that Kathleen Lynn carried with her for the rest of her life. When Connolly formed the Irish Citizen Army (ICA) in 1913 he elected Kathleen to be the Chief Medical Officer, and for the next few years she provided medical training to recruits of the ICA and was active in the smuggling of arms in preparation for the uprising. After the rising Kathleen and her long time friend Madeline ffrench Mullen came to form St. Ultan’s Hospital for infants. At the time World War 1 was drawing to a close and Ireland was preparing for an estimated 15,000 soldiers to return from the country infected with syphilis. From 1916 until she died in 1955 she recorded her daily life in 4 volumes of extraordinary diaries, they are so complex in nature that it took librarian, Margaret Connolly, 2 years full time to transcribe them. They are a unique and fascinating record of the birth of our nation as well as her political, social and medical life’s work. The diaries form the heart of this documentary with a beautiful and subtle performance from award winning actress Ingrid Craigie playing Kathleen Lynn in the reconstructions. Ultimately Kathleen Lynn dies without seeing her dream of a national childrens hospital realized but the legacy she left behind in terms of her political life, St. Ultan’s hospital and her dedication to the poor of Ireland will never be forgotten.